Anthony (Tony) Brown is Professor of Communication Engineering in the MCS research group . He was Head of School for Electrical and Electronic Engineering (until Sept 2015) and, prior to that, Associate Dean for Teaching and Learning in the Faculty of Engineering and Physical Sciences (until May 2012). Tony is a Fellow of the IET and the IMA, a Senior Member of the IEEE and a Member of the IOD. He joined academia in 2003 as research group leader after a 30 year industrial career including senior Board level positions. He maintains strong industrial links and is currently CTO and Director of two companies. In addition to his discipline specific research Tony has a keen interest in student education particularly in an international context . He has been an invited lecturer on academic and student development in China and elsewhere and has been a visiting Professor at Xidian University in Xian. He serves on the editorial Panel for the International Journal of Electrical and Electronic Engineering. Tony’s overall research interests are principally in antennas, electromagnetic propagation and computational electromagnetics as applied to radio astronomy instrumentation, radar and related imaging, and to communications (particularly in a indoor or complex environments). 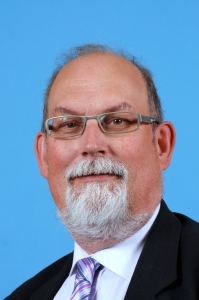 He has chaired numerous international conferences most recently the 2011 European Radar Conference , and he been a frequent invited speaker in South Africa, Australia, USA, China and across the EU.. Professor Brown has acted as external advisor to UK Universities in course development. He has been External Examiner (Undergraduate and Masters programmes) for the University of Oxford , Cranfield, Sheffield, Surrey, Sussex, Brunel and Swansea.